Takisha Claybrooks-Williams and her children Tayshawn, a senior, and Lataysha, a junior. Both children are honors students with college plans. 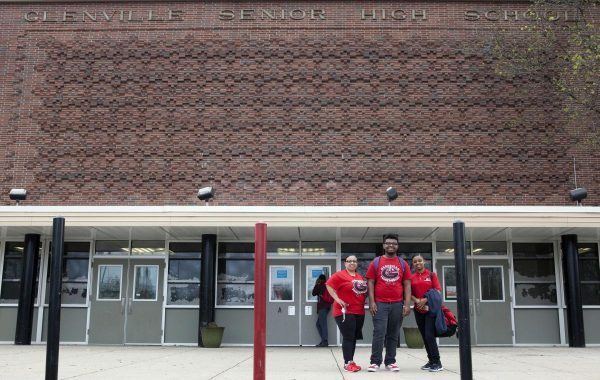 When her son decided to attend Glenville High School,Takisha Claybrooks-Williams was not happy. She’d grown up in Glenville and had fond memories of its leafy streets and bustling storefronts. But she believed the neighborhood had become unsafe, and that the school emphasized athletics over academics. What’s more, the family lived in Collinwood, which meant he’d have to commute to school every morning. By the end of her son’s first year, though, Takisha had a complete change of heart. For example, Takisha recently received a call from a teacher who admired a paper her son wrote. Other times, she’s communicated with teachers when they believe he needs a push to try harder on his homework. kshops that anyone can attend—whether or not they have a direct connection to the school. 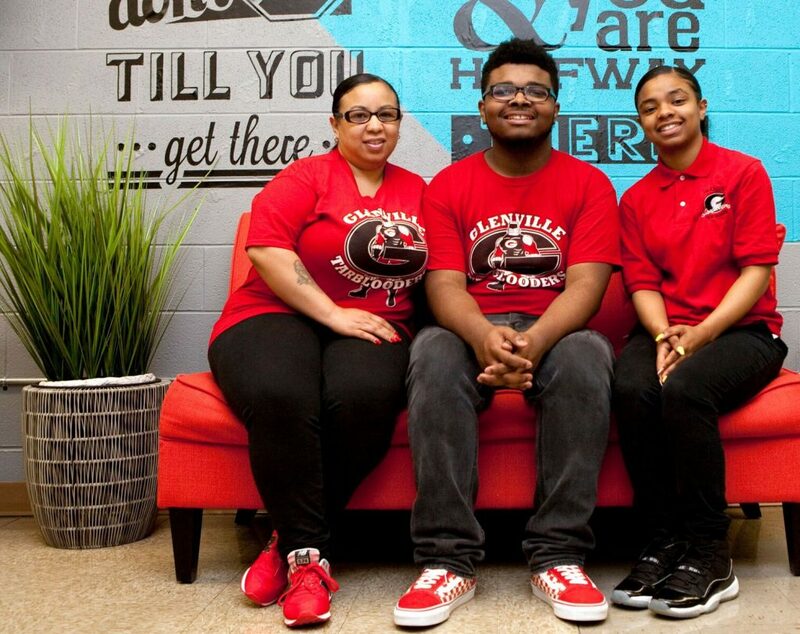 Her son, Tayshawn, chose Glenville because his neighborhood high school, New Tech Collinwood, has a technology-driven model that doesn’t appeal to him. He also likes the idea of attending the school that is the alma mater of many family members. Now a senior, Tayshawn benefits not just from the school’s strong academics, but also its social-emotional learning programs. Takisha especially praises the Closing the Achievement Gap (CTAG) program, which pairs male high school students of color with mentors who help them steer clear of peer pressure and distractions to reach graduation. Lataysha, Tayshawn’s sister, has followed in his footsteps. She was inspired by her brother’s academic success and her interest in the school’s cheerleading program, which supports the school’s famed Tarblooders athletic teams. Latyasha is now thriving, achieving a 4.0 GPA and induction into the National Honor Society. Takisha recently attended Lataysha’s cheerleading competition with a host of relatives who’d graduated from Glenville. “It’s nice to have the whole family come together after all these years and enjoy being Tarblooders,” she says.